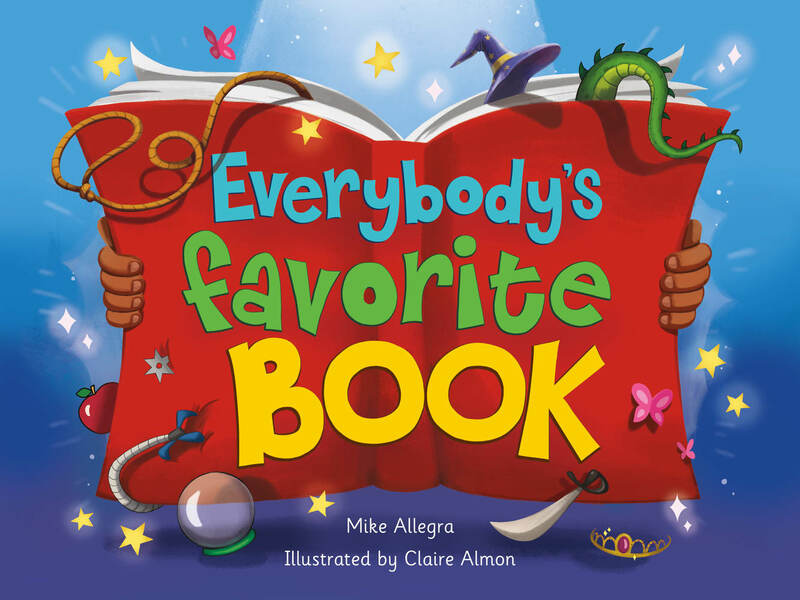 I am pleased to welcome author and doodler Mike Allegra to Bildebok! Mike and I connected several years ago through Susanna Hill’s wonderful blog and writing contests, and we’ve been exchanging puns and occasional critiques ever since. Mike’s writing journey has followed an interesting and varied path including playwriting, newspaper reporting, magazine editing and now to children’s chapter and picture books. His latest picture books Everybody’s Favorite Book (Macmillan) and Scampers Thinks Like a Scientist (Dawn) will be out in October 2018 and March 2019, respectively. 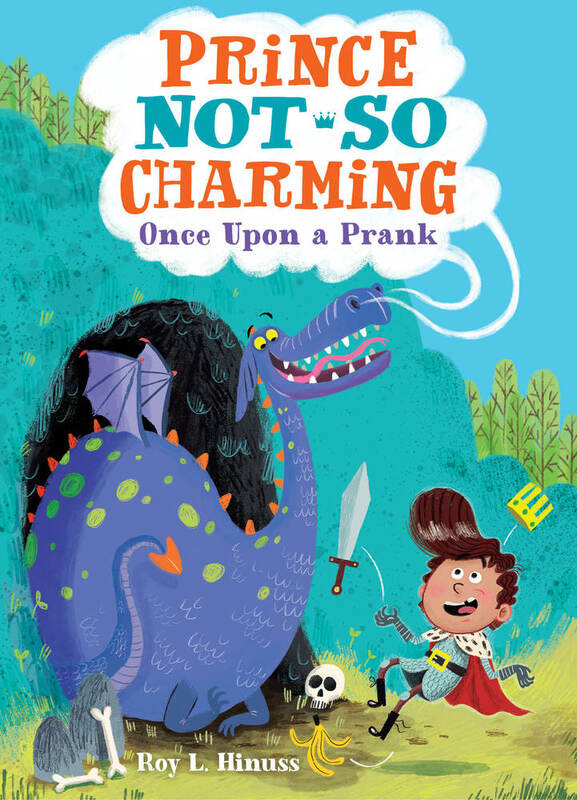 The first two books in his hilarious Prince Not-So Charming series are out now. I am so glad he was willing to answer a few questions about his latest works! You have had a busy, exciting writing and publishing year. Can you tell us what’s happening at the moment? So much! I spent most of 2017 shirking both my day job and my blogging responsibilities to write the Prince Not-So Charming chapter book series. At that same time, I was working with an editor on a picture book, Everybody’s Favorite Book and with another editor at another publisher for another picture book, Scampers Thinks Like A Scientist. I was crazy busy, but it was a crazy fun busy. These days I’m crazy busy thinking, “Gah! What’s my marketing plan?” So for the past couple of weeks I’ve been running around saying, “Hey! I have books! Look! Books!” which is sort of a marketing plan, I suppose. Wow – picture and chapter books! When you began writing for young readers, did you imagine tackling a broad spectrum of genres and ages? Scampers Thinks Like a Scientist is also different from both Sarah and EFB; it’s a fun picture book for the education market. And then there’s Prince Not-So Charming, which is my attempt at writing for older readers. What made you want to write chapter books? Tell us about the process of writing the PRINCE NOT-SO CHARMING series. Prince Not-So Charming was a work for hire opportunity. I was already working with Macmillan on Everybody’s Favorite Book when I said to my editor, “Listen. I love you. I love this publisher. 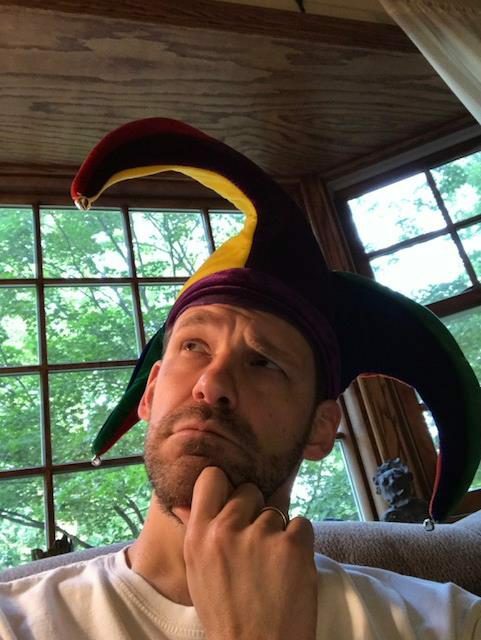 Please hire me to write anything else.” As luck would have it, Macmillan was kicking around an idea for a series about a prince who wanted to be a jester. So my editor invited me to write a 2,000-word audition piece—and I got the job! And it was a great job. I won a year-long gig living the dream: writing books that I knew were going to get published. There is so much joy in knowing that a book you are writing will be published; I could play and experiment without fear. Macmillan liked my work enough to expand the original four-book deal to a six-book deal. Long story short, 2017 was the most creatively fulfilling year of my life. What have been the biggest differences between writing picture books and chapter books? Prince Not-So Charming gave me the freedom to explore more complex stories and themes. It allowed me to show how character relationships grow and evolve from one book to the next. And it also gave me a chance to wander off on whimsical tangents, fool around with running gags, and hide Easter eggs that reference other books in the series. I adore writing picture books, but PNSC was an exhilarating change of pace. And the editorial process, is that also different? Very different. 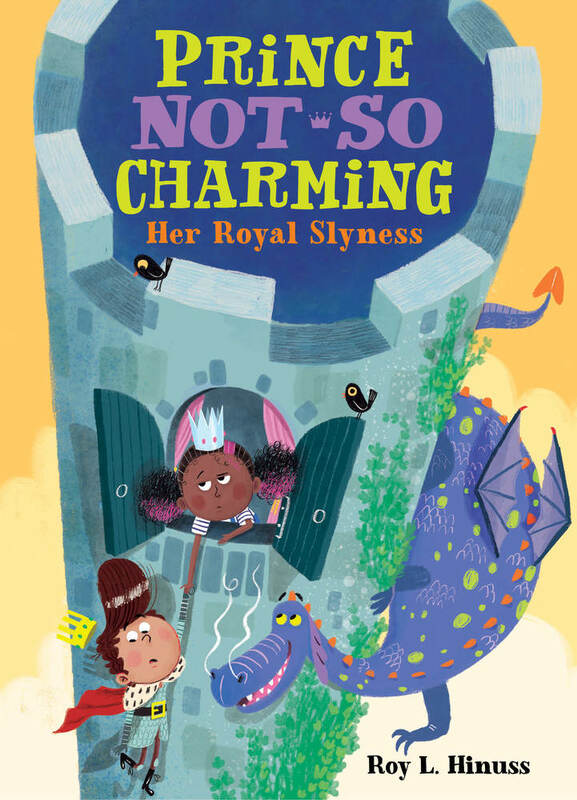 Everybody’s Favorite Book, unlike Prince Not-So Charming is highly dependent on visual humor. Many of the jokes land because the text is saying one thing while Claire Almon’s amazing illustrations indicate something entirely different. There were a lot of details to iron out to make sure the verbal and visual elements synced up as humorously as possible. Prince Not-So Charming has illustrations, too—and good ones—but none of Matt Hunt’s drawings drive the narrative. So the PNSC editorial process was all about scrutinizing the content of my writing. I don’t prefer one editorial process to the other, really. It’s just that EFB and PNSC exercised different parts of my noodle. What’s up with the punny-funny pseudonym Roy L. Hinuss? The pseudonym was a condition of the work-for-hire deal. I wasn’t allowed to use my real name because if I turned out to be an unreliable hack or a whiny, petulant diva, they could replace me with someone else. I really didn’t care about the pseudonym, though. My writing life has never been about getting my name “out there”; it’s been about finding good writing jobs. And the PNSC writing job was about as good as they come. What are you working on now? Do you plan to focus on PB or chapter books, or is there MG or YA in your future? My agent is pitching a couple of my manuscripts—two picture books and a chapter book—so my fingers and toes are crossed for another contract. Right now I am working on a middle grade mystery novel. It’s a very different story from what I’m used to, but I’m excited about where it’s taking me. When and where can we get our hands on PRINCE NOT-SO CHARMING books, and where can we find you online? And more importantly, your homemade Brussels sprout ice cream? The first two books in the Prince Not-So Charming series can be found wherever fine books are sold. They can also be found where less fine books are sold. In other words, my Prince Not-So-Charming books are not judgmental. I think we could all learn a little something from Prince Not-So-Charming books. Everybody’s Favorite Book will be out on October 30, but can be preordered on Amazon or wherever else. And you totally should preorder it because it has a man-eating guinea pig in it. And do feel free to follow my blog http://www.mikeallegra.com or my Facebook page https://www.facebook.com/heylookawriterfellow because I’m fun! This entry was posted in Uncategorized and tagged Brussels sprouts, chapter book, Everybody's Favorite Book, giveaway, guinea pig, Mike Allegra, picture book, Prince Not So Charming, Susanna Hill. Bookmark the permalink. Robin – you indeed are a Book Champion First Class! Thank so much, Robin! Yer the best! Thanks so much for giving me the opportunity to plug my books! You are a great bloggy friend and, without a doubt, the best critiquer in the world. My pleasure! Guinea pig fan club members must stick together, right? This is true. We must! I have these books!!! And thank you Mike!!! He was taking a risk there, wasn’t he? Thanks for stopping by! Fear not, Boo. 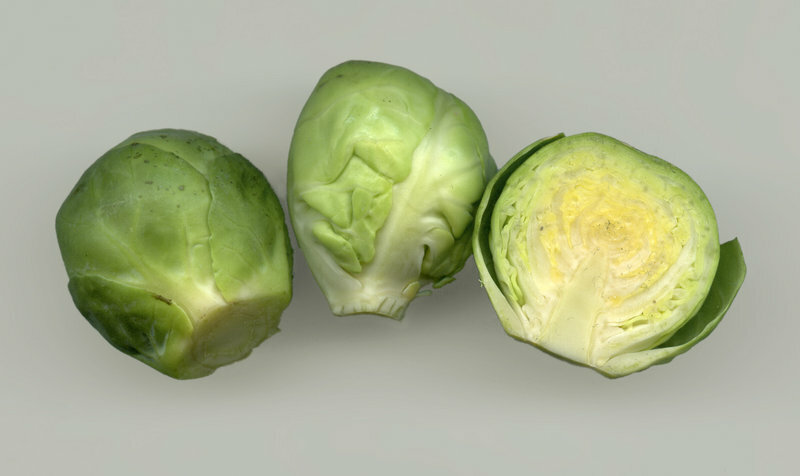 I hate Brussels sprouts, too. What a fun interview. I will be looking for these books. Thanks for the post. And thank YOU for reading and commenting Rosi! They ARE fun! Congrats, Mike!! Lots of funny books to look forward to reading! And I’ll pass on the brussel sprouts ice cream, though I do love it roasted ;)! Hey Maria! I like roasted Brussels sprouts too, but I don’t think we are going to convince Mike. At least he’s right about guinea pigs! Oh, and you can have my serving of Brussels sprouts, too. Many grins and chortles too! Thanks for stopping by Alicia! Woohoo! Only one month away for the first book. The waiting is the hardest part. The covers look great! Yep! Always waiting, waiting, waiting for these books to arrive! Thanks for reading and commenting today. Nice of you to share Mikes’ with us! Preordered when I first heard of them and gave to my grandson…but I’d love a set for myself! And with all that Mike has going on he still finds time to entertain and enlighten us with his hilarious recollections of his family vacations. Now that’s the autobiography the world is waiting for, Mike: Allegra Family Adventures. You could probably illustrate it with your own doodles. Well-deserved congrats on all your productivity! See you on the next Debatable—you are working on that, aren’t you? I like that idea Cricket! Or perhaps jot a “How NOT to Vacation Like the Allegras” guide! 😉 Thanks for stopping by. Allegras don’t travel well, that’s for sure. Yeeeees. I’ve come up with a character for the next Debatable. Dang, you’re a taskmaster! Can’t you see how busy I am? Now, Cricket, did I ever say teacher were not busy? I come from a long line of teachers! Shame on you! Being from teacher stock you know the value of homework. So get home and get to work on Debatables. Will there be partial credit if I’m late? Thought I left a comment yesterday! What an entertaining interview with Mike. He is just one very funny guy with a childlike imagination that makes his books shine! Look forward to reading his new releases. You are correct – a great imagination! Thank you for your comment and your RT too Pat! Fabulous interview Cathy! Congratulations Mike! What a successful year filled with hilarious writing! All the credit goes to Mike Lauri – I just had SO many questions! Hope your writing is going well. Thanks for stopping by! Whoop! Whoop! I have PNSC1 & 2! Fabulousness bookified!!! I’d write more but I scalded my left hand this morning putting sugar in my coffee. Yep, that’s right….cheers! Jilanne – ack! Your poor hand. Makes me doubly, nay triply, grateful for your comment. Heal quickly! I don’t believe that coffee could be so cruel—unless it was decaf. Thanks for buying my books, my friend. Take care and heal up! Thanks for the interview Cathy Ballou Mealy! Whenever I hear/see the name “Mikey” I think of the 1970’s Life cereal TV commercial – I must be ancient! So I’m assuming being a “Mikey” is a good thing? Courtney, you seem like a big fan! Thanks for stopping by and commenting. Mike – can you hear yourself? “My Agent.” “My Editor.” You’ve come a long way, friend, and you deserve everything you are succeeding in (is that a bad sentence? I think that’s a bad sentence, but you know what I mean). I’ve tweeted this fabulous interview. And one other thing: even I would not eat Brussel sprout ice cream. I shalt not Tweet! Attention spans need to be stretched out, not shrunken! Aw, thanks, Pam! You are the sweetest person. Even your bad sentences bring so much happiness. And yeah! Agent! Editor! Woo! It does make me happy to type those words.